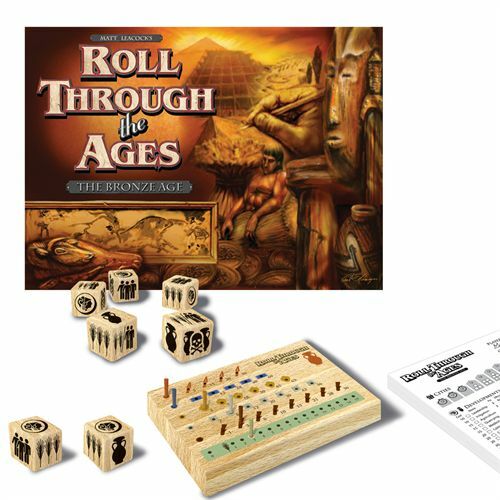 Roll Through the Ages tries to offer the feeling of Civilization building games - but without the need to dedicate a lot (!) of time for one game. 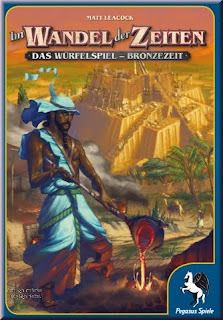 You build a civilization in about 30 minutes... With a lot of dice rolling, pretty deep theme and lots of fun. The box comes with nice wooden peg boards (and pegs), with score sheets and dice. Quite unusual, but very nice - and of high quality. The rules are simple and thought out very well. Your dice determine what actions you can take, and what field you want to focus on. As basically known from other CIV games you have to gain resources, feed your cities and build monuments. You also can decide to buy different developments which offer certain benefits. The player with the most victory points wins the game. From the publisher: Build a thriving civilization -- in under an hour! Collect goods, assign workers to build cities and erect monuments, advance your civilization through cultural and scientific developments, but don't forget to harvest enough food to feed your growing population.Grab those dice and Roll Through the Ages! in this addictive and strategic new game from Matt Leacock, the designer of the incredibly popular Pandemic. 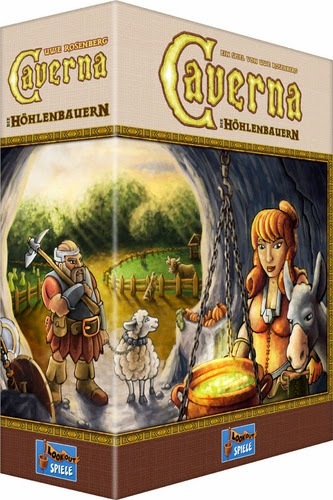 Nominated for the 2010 "Spiel des Jahres" German Board Game of the Year Award. Die Kunst des Spielens. Ein Blog über Spiele & Comics die uns begeistern. as mentioned above this blog is about personal reviews and recommendations for things and places we really liked. mainly about music, books, boardgames, films, comics, art and travel. thanks to the comanies which provided products for testing purposes. therefor we reserve the right not to be responsible for the correctness, completeness or quality of the information provided. liability claims regarding damage caused by the use of any information provided, including any kind of information which is incomplete or incorrect, will therefore be rejected. we are not responsible for any contents linked or referred to from this blog. we intended not to use any copyrighted material for the publication or, if not possible, to indicate the copyright of the respective object.